I am dedicated to the journey of the complete musician-singer-actor and offer expert vocal, acting and piano training to all ages. I address the health of the speaking voice, the skills of musicianship, and the art of storytelling. My goal is to facilitate all aspects of performance: physical, technical, stylistic, interpretive, and demonstrative. I offer curriculum in beginning piano and all vocal styles based on the "bel canto" technique, beautiful singing. Classically trained in Opera, Musical Theater, Sacred Music, Pop, and having performed across the USA and Europe, I nurture the complete and universal performer with regard to the individual’s age, level of experience and personal goals. Look around the website and if you have any comments or questions, please feel free to get in touch! Study Voice, Acting, and Piano with Juliana! The one-on-one relationship in ongoing training often allows Juliana to get quick results. Students are exposed to new monologues, cold readings, dialects, and acting technique. Sessions are geared to success in school, community and professional opportunities. With a holistic approach to the singing technique, Juliana naturally guides the student to find his or her own true voice. Students experience a variety of new songs and arias, sight singing, language study, and bel canto technique. 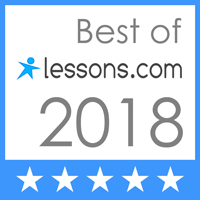 Adept at making even the most tricky concepts simple, memorable, and fun, Juliana guides students, step-by-step, through each new song and music theory concept. Designed for beginners young and old, the lessons enable students to play songs successfully, starting with the very first lesson. NEW STUDIO IN SOUTH DURHAM near Sedwick Road and NC-55. Welcome new students! Please click here; read and bring a signed copy of 2018-2019 Studio Policies & Tuition with you to your first lesson.